One of my nieces has been sick lately so I decided to make her a doll for a get well present. 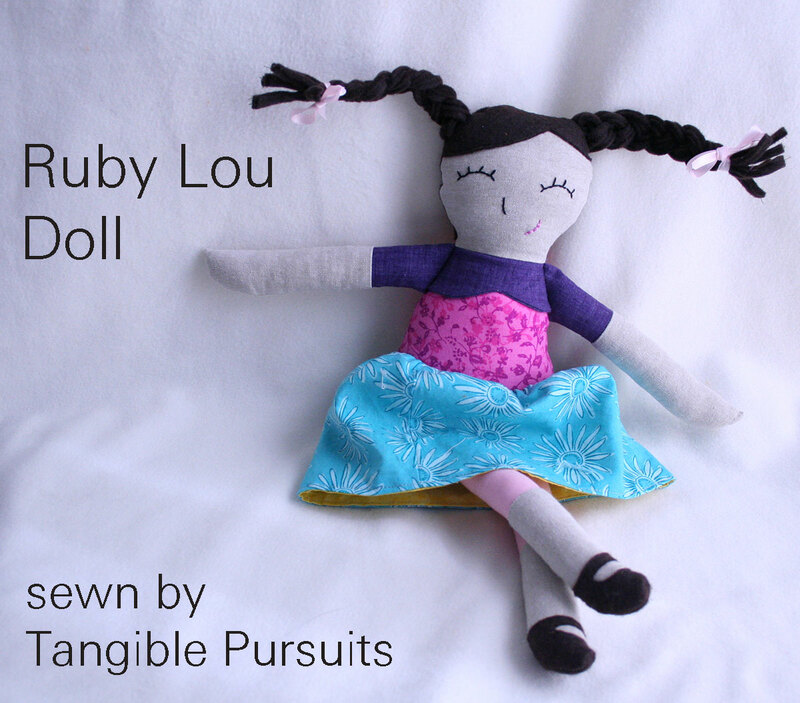 I happened to have a copy of the Ruby Lou Doll pattern from Sew Much Ado, from a previous pattern test and I knew it would make the perfect gift! I used Kaufman Essex Yarn-Dyed Linen Blend in Flax from fabric.com for her body. 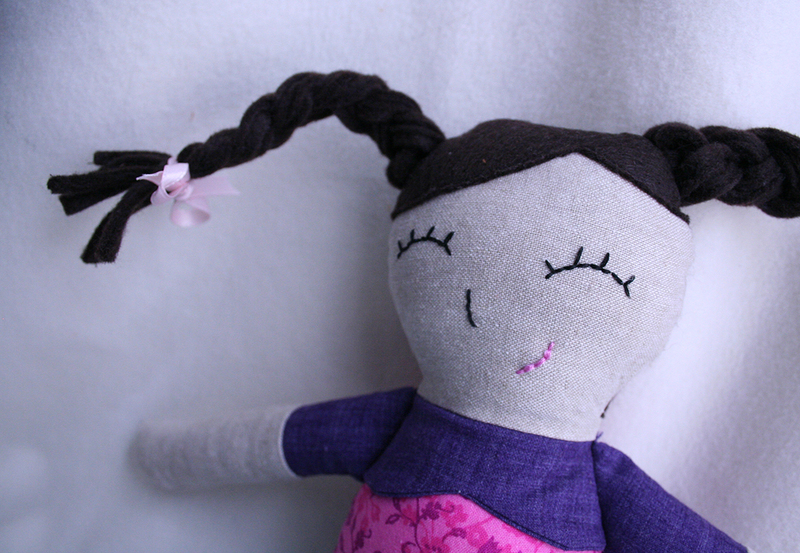 I love the look and feel of a doll made with linen (or, in this case, a linen blend). 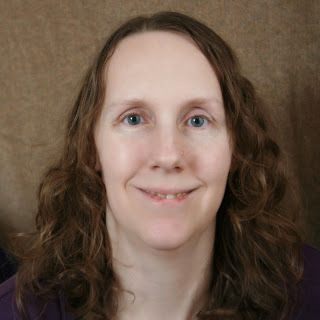 The texture and color variation make it look more realistic than plain cotton. The purple and solid pink were from my stash and the darker pink print and blue daisies were also from fabric.com. The hair and shoes are dark brown felt. The only thing I wish I had done differently was to not make the collar and sleeves the same color. I didn't realize when I cut the pieces out that the sleeves would be right next to the collar like they are. 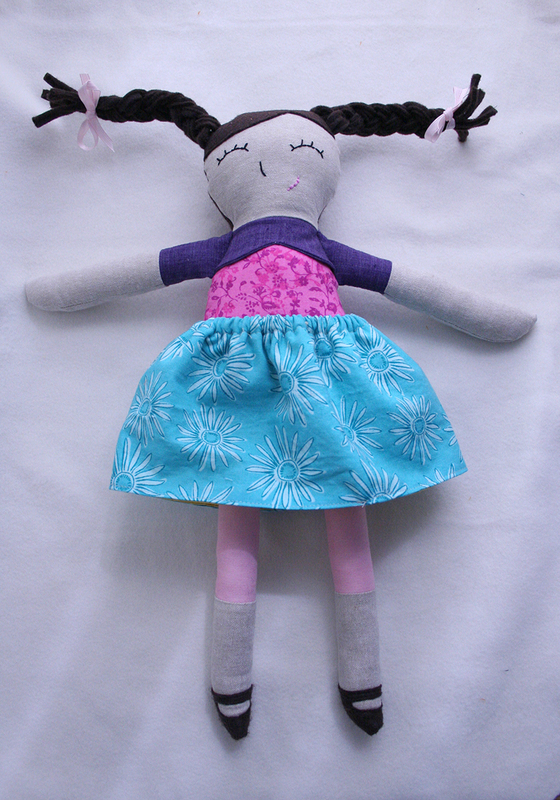 I also think if I made this doll again I might make her a circle skirt rather than a gathered rectangle skirt so it would fit a little more closely at the hips. I love her mary janes and her felt braids and her sweet happy face. I hope she brings a smile to my niece.